No one likes a slow internet connection, but sometimes it seems like there isn’t a lot you can do about it. That’s where a WiFi booster comes in. If you’re looking for a reliable WiFi extender to provide coverage to a large area or lots of people, the NETGEAR Orbi is our pick. It’s sleek, easy-to-use, and effective. Read our full NETGEAR Orbi review to learn more. 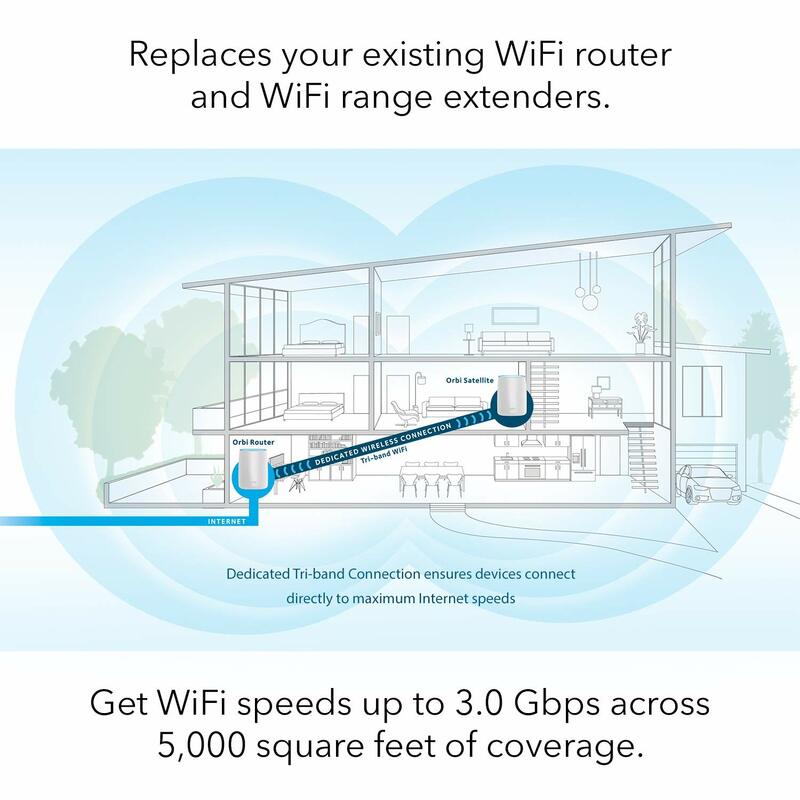 If you have reliable, perfect internet that seamlessly covers every room in your house, no matter how many devices are connected, how much data you’re streaming, how many people are online, and how far away you are from the router, you may not need a WiFi booster. But if you have problems with your internet connection, the NETGEAR Orbi may be the solution to your problems. The NETGEAR Orbi is more than a WiFi booster because it’s a full mesh WiFi system. You can create one network, with one name, for your WiFi extender that will remain constant as you move throughout your home. Not all WiFi extenders enable you to do this. Many require you to create separate networks with different names and switch WiFi networks as you move throughout the house. A mesh system does not need this. The NETGEAR Orbi is designed to cover up to 5,000 square feet with it’s Tri-band WiFi system. The Orbi comes with an Orbi WiFi router and satellite. It replaces your home router and any existing WiFi extenders you may have. In essence, it’s the whole package in one. 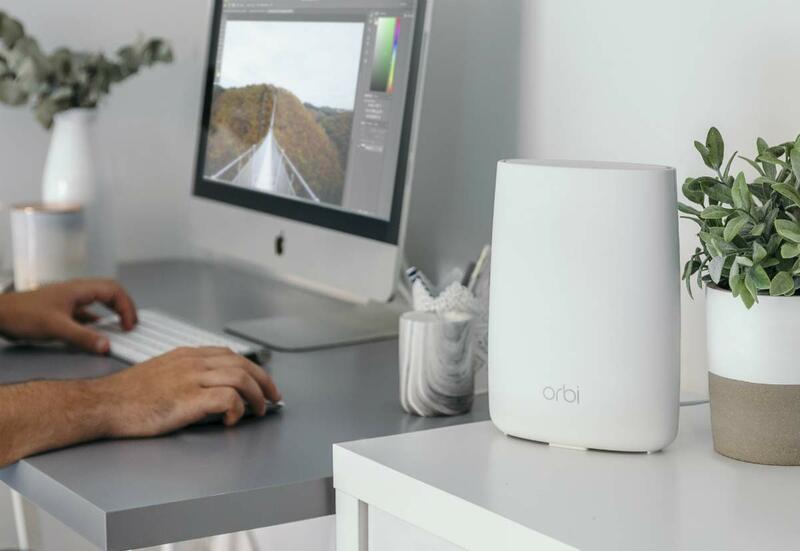 The Orbi is expensive, but it’s worth it if you want strong, fast internet throughout your home. Aesthetically pleasing: While the Orbi units are larger than some WiFi extenders, they are white and sleek looking, and thus blend in well with their surroundings. Alexa-enabled: Orbi has a built-in Alexa function that enables you to play music, check the weather, get news updates, and even control your smart home devices. Consistent coverage: Orbi rarely goes out, so you can feel confident in the amount of coverage you’ll get. Easy-to-use app: Orbi’s is one of the easiest apps we’ve come across. It also enables more customization than some of the others we’ve tried. Ethernet ports: The two units have Ethernet ports, which allow you to directly connect your gaming console, Smart TV, streaming player, and other devices to the system. This connection allows for better streaming and is a feature that not all WiFi extenders or WiFi mesh systems have. Extensive range: The two units can cover up to 5,000 square feet. Fast speed: Orbi provides fast internet speeds. It’s faster than the others we reviewed, including the eero. Simple set-up: The Orbi is simple to set up and can be done in less than 20 minutes, no matter your level of technological expertise. Many NETGEAR Orbi reviews talk about the ease of use this system provides. Single SSID: Orbi operates with one SSID, which makes managing connections easy. You do not need to switch WiFi networks as you move throughout your house. High price: Orbi is significantly more expensive than competitors. It’s the most expensive WiFi extender we’ve come across. Large unit size: Orbi’s two units are bigger than the competitors’ units. Some NETGEAR Orbi reviews say that they find the units to be a little too bulky. One-year warranty: Orbi only features a one year warranty, which isn’t much considering how expensive the units are. This warranty length is standard for most WiFi extenders and other electronics, but some people might want more protection. This WiFi booster has a lot of great features. In this section of our NETGEAR Orbi review, we’ll go over a few of essential elements in more detail. The NETGEAR Orbi is designed to stretch Wi-Fi coverage farther than a standard router to cover as much area in and around your house as possible. 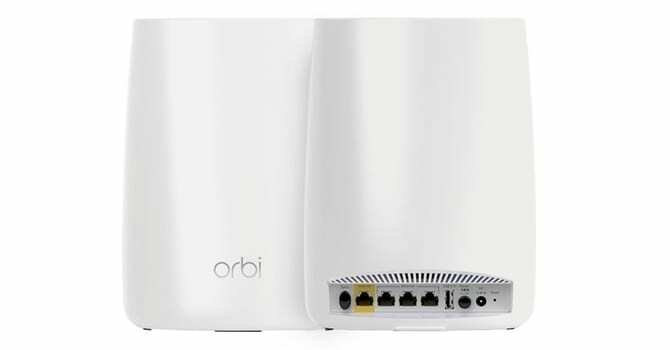 The Orbi uses two units, each of which is a tri-band router. Each device has several Ethernet and USB ports as well as one 2.4GHz Wi-Fi band and two 5GHz bands. One of the units acts as a “normal” router and emits your WiFi signal and a second unit works to extend the WiFi signal. The Orbi uses only one SSID (the WiFi connection name). This feature makes setting up the multi-router WiFi booster easier. The setup is as simple as plugging the main router into your modem and turning it on and next, placing the satellite in an optimal spot in your home and turning it on. The two units will automatically find one another and synch up. You’ll be able to log into the router in minutes. 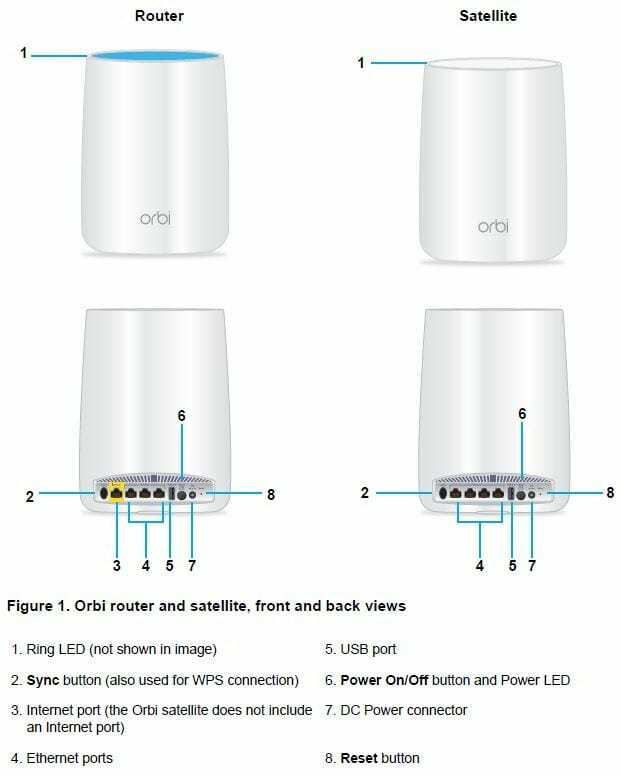 Orbi’s router and satellite both have three Ethernet ports. You may be wondering why these are needed if the goal of the NETGEAR Orbi is to provide wireless connection throughout your home. The Ethernet ports enable you to connect your Smart TV, gaming console, streaming player, and other devices directly to the source for even better streaming. Orbi’s app makes setting up your system a breeze. The app enables you to set up your WiFi system in minutes. Simply connect your smartphone or tablet to the router network and the app will walk you step by step through the process. Once set up, you can use the dashboard to pause the internet, set up parental controls, run speed tests, and more. This section of our NETGEAR Orbi review will go over the basic set-up instructions. Unplug your existing modem. If it uses a backup battery, remove and replace it and then plug the modem back in. Find your Orbi router and Ethernet cable. Use the cable to connect your modem to your Orbi router. Plug your Orbi router into a power source. The power LED on the back of the Orbi should light up. If not, press the power on/off button. Wait for the Orbi router LED light to turn on. The light should be white, then start blinking. Set up the Orbi satellite. Place the satellite unit in the middle of your home or equidistance between the router and the farthest spot you are seeking WiFi coverage. Plug the Orbi satellite unit to a power source. If the power LED on the back of the Orbi unit does not light up, press the Power On/Off button. Wait for the Orbi satellite’s ring LED to light up. It will start as a solid white light, then pulse white, and then pulse magenta. It may take up to one minute before fully connecting to and syncing with the Orbi router. Look for the Orbi’s status. After the magenta light begins pulsing, it will change colors for approximately ten seconds before turning off. 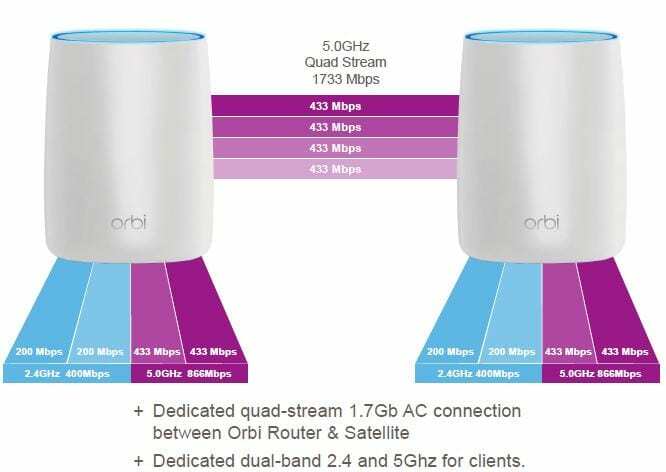 Solid blue means the connection between Orbi router and Orbi satellite is strong enough. Solid magenta means there is a problem and the Orbi satellite cannot connect to the Orbi router. If this happens, reposition the Orbi satellite to be closer to the Orbi router. Solid amber means that the connection between the Orbi router and Orbi satellite is fair but could be improved. If possible, move the Orbi satellite closer to the Orbi router. Connect your computer (or other mobile devices) to the Orbi router or satellite using an Ethernet cord or WiFi connection. If you will be connecting with WiFi, locate the preset WiFi network name (SSID) and password found on the label of the Orbi router or satellite and connect to that network. Go to orbilogin.com and follow the instructions to complete the setup of your Orbi network. You can use your computer or a mobile device. When the Orbi router’s ring LED turns off, the initial setup is successful. The Orbi has a one-year warranty. If you send your system in for repairs, damaged parts may be replaced with refurbished parts instead of being repaired. If NETGEAR cannot replace the defective item, the company will refund you with the depreciated purchase price of the Orbi system. After our NETGEAR Orbi review, we think this is one of the best options for people needing strong WiFi in large areas. The Orbi is intended for large homes or spaces with multiple floors and provides consistent, fast WiFi to all corners of your home. Additionally, it is easy to install and aesthetically pleasing. 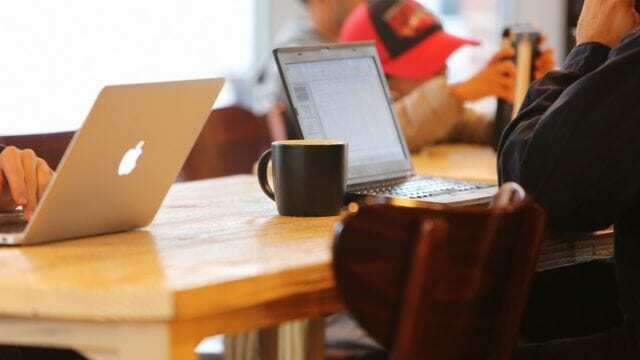 If you live in a smaller home or an apartment, however, you can likely get by with a more affordable WiFi extender such as Google’s or the NETGEAR EX3800. Overall, however, if you have the budget and want a great WiFi booster to cover your large home, we highly recommend the NETGEAR Orbi. Do you have this WiFi booster? If so, leave your own NETGEAR Orbi review below.